He was once a prominent cancer researcher. Then his gambling — and a finding of scientific misconduct — got in the way. In September 2014, an investigation into the work of an award-winning cancer researcher in Illinois concluded that multiple papers had been affected by misconduct. Now, nearly four years later, two of those articles have been retracted. What happened in the intervening years reveals a complicated and at times bizarre story involving not only scientific misconduct, but accusations of mistreatment of lab members, gambling debts, and a failed lawsuit. In 2014, the researcher, Jasti Rao, filed a lawsuit against his former employer, the University of Illinois College of Medicine at Peoria, which conducted the misconduct investigation, along with his two former supervisors, accusing them of discrimination and violation of due process. The investigation focused on both research misconduct and alleged ethics infractions, including taking cash from employees. Court documents reveal that Rao admitted to gambling during work hours, and after he was late in paying debts — including one worth $75,000 — his credit was suspended by the Par-A-Dice Casino in Peoria. In 2017, in a summary judgment, the court ruled in favor of the university for most of Rao’s allegations. In March 2018, a decision in favor of the university was upheld on appeal. Three months later, Cancer Research issued two retractions, referring to the investigation. Dr. Rao strongly objected to these retractions and asked that his response be published in conjunction with any retractions. However, he received no subsequent response from the journal. …Rao set out to build what has become a successful research center. One part of the success is a patent on a process discovered by Rao and his team that, in a nutshell, inhibits the growth of tumors and kills cancer cells. The drug isn’t ready for human trials yet but an Indian company has the license from the school to begin testing its toxicity and determine if clinical trials are possible. He now has more than 20 cancer research associates at the center….He has been the catalyst in bringing more than $26 million in research grants to the school and more than 150 of the 250 articles he has authored have been since he arrived in Peoria in the winter of 2001. Before his resignation, Rao was one of the highest paid employees at the university, making $700,000 per year. He joined the University of Illinois in 2001 from MD Anderson, but even his hiring wasn’t without controversy: In 2003, the former chair of his department Phillip Jobe sued the Regional Dean at the University of Illinois College of Medicine in Peoria, Illinois. The suit argued Jobe wasn’t rehired as chair in 2001 because he complained about the institution’s poor financial decision-making — including hiring Rao. A few months before he received the award, however, the dean — the same person who nominated him for the award — initiated a preliminary inquiry into his lab, after receiving an anonymous letter detailing multiple allegations. The inquiry found enough evidence to justify launching a formal investigation. The investigation kicked off in 2013, and contained two components: concerns about misconduct related to plagiarism and data manipulations, but also allegations of ethics violations related to allegations of kickbacks and fiscal improprieties, such as asking employees to pay him to keep their jobs and immigration status. …he demanded and accepted cash payments from at least one subordinate to pay off alleged gambling debts and concealed the extent of errors in papers published by his lab and then directed subordinates to delete documents evidencing the scope of the errors. Before the investigation had formally concluded, Rao was given the choice of resigning or being fired if the allegations were sustained — with only days to come to a decision. On March 25, 2013, he resigned. In January 2014, Rao — a native of India — sued Dean Sarah Rusch and other people for discrimination, violation of due process, and other accusations. He filed the federal lawsuit in the United States District Court for the Northern District of Illinois, Eastern Division. As part of his lawsuit, in 2017 Rao asked to have Mani Pavuluri, a child psychiatrist at the University of Illinois at Chicago, testify on his behalf. That name may be familiar to readers: By 2017, Pavuluri’s research had been suspended, after an investigation showed her studies might have put participants at greater risk than they had realized. The University of Illinois at Chicago has also paid back more than $3 million in grant money. Rao’s request was denied, as it was made after the deadline for discovery had passed. The Investigation Panel, however, concluded that it “could not reach the level of confidence as indicated by the term ‘preponderance’” to find that Plaintiff was directly responsible for the issues with the papers under review, finding instead, that he acted recklessly. …Rather than accepting the Investigation Panel’s recommendation, however, [Mitra Dutta, the University’s Vice Chancellor for Research] recommended that Rao be held responsible for the errors in his lab’s publications because he was the senior author on the papers, director of the lab, and responsible for the practices under his supervision and the accuracy of data submitted for publication, emphatic about his oversight of the manuscripts, and was the individual who received the federal grant. Dutta found that the errors, which required the manipulation and rotation of images “show a disturbing pattern” indicative that Rao acted intentionally or recklessly and that the standard of proof had been met through Rao’s testimony regarding his involvement in the manuscripts, his understanding of the policies, as well as his acceptance of responsibility. The University of Illinois at Chicago notified the AACR that following an institutional review, it was determined that numerous panels in Fig. 6B had been falsified. An internal investigation by the editors determined that the same lung tissues were used in different panels with apparent differences in the fluorescence signal, thus inaccurately depicting different lung tissues. Specifically, the same lung tissue was used in the following panels: panels #18, #16, and #25; panels #14 and #26; panels #35, #06, and #03; panels #20 and #30. To ensure that the research record is correct, the Cancer Research editors have decided to retract the article. The 2007 paper has been cited 49 times, according to Clarivate Analytics’ Web of Science. 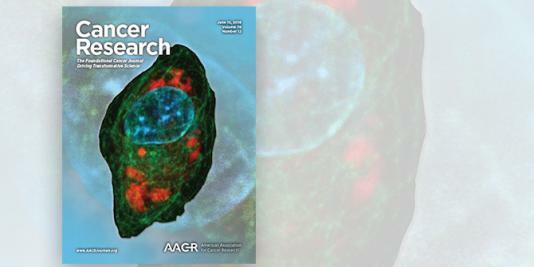 The other retracted paper, “Small Interfering RNA–Directed Reversal of Urokinase Plasminogen Activator Demethylation Inhibits Prostate Tumor Growth and Metastasis,” has been cited 52 times since it appeared in 2007. We want to make it very clear that some of these images may appear roughly comparable but they are actually different images. As you are fully aware, I have been involved in a wrongful termination lawsuit against the University of Illinois since 2013. I will reiterate that I have not had access to my lab or data and files since that time…As you also know, I am not the first author or the one who conducted the experiments for this article. However, based on the comments from the first author, which I submitted to you on Jan. 9, 2016, I have no reason to question the soundness of the data, as there would have been no point in duplicating any of these images. Given that no one from [The American Association for Cancer Research, which publishes the journal] has communicated with me since 2016, and the timing of your decision coinciding with a critical time in my lawsuit against the University, it seems likely that AACR is under pressure from the University to take this action. “Rao had asked at least one employee to pay back more than $15,000 of his salary”. I’m entirely in agreement with not publishing said employee’s name in this story- but it is interesting to note that his last name is of Indian origin. Rao was demanding money from his disproportionately Indian or Indian-American employees, perhaps in return for enabling their immigration, perhaps in return for delivering higher salaries than they would otherwise be able to achieve, and he alleges that being stopped from doing this was racial/ethnic discrimination? Is he claiming this is part of Indian culture or something? I am astonished at the salary that Dr. Rao was paid. $700,000 p.a. is absurd. I would have been strongly against this hire as well at my own institution. The former chair, Dr. Phillip Jobe, was justifiably concerned about financial irresponsibility concerning this hire. Ridiculous! Another 2018 retraction same department, but different authors. PLoS One. 2014 Aug 22;9(8):e105555. doi: 10.1371/journal.pone.0105555. eCollection 2014. Intermittent hypoxia effect on osteoclastogenesis stimulated by neuroblastoma cells. Bhaskara VK1, Mohanam I1, Gujrati M2, Mohanam S1. 1 Department of Cancer Biology and pharmacology, University of Illinois College of Medicine, Peoria, Illinois, United States of America. 2 Department of Pathology, University of Illinois College of Medicine, Peoria, Illinois, United States of America. The authors of this article  notified the journal office that the University of Illinois at Chicago had investigated this work and that concerns had been raised about results presented in Figures 4, 5, and 6. Figure 4B: The image in row 3, column 2 (SP600125, 5.0 μM), was duplicated in row 4, column 1 (SB203580, 0.1 μM). This duplicate image was replaced in a Correction  that was published before the journal office was notified of the institution’s investigation. Figure 6A: The same mouse appears to be presented in the third and fourth images of the left-hand panel (Parental, N). The original data underlying these results are not available. The University of Illinois at Chicago advised that per their investigation the reliability of data and results presented in this article have been called into question. In light of these issues, and in line with the University of Illinois at Chicago’s recommendation, the authors and PLOS ONE Editors retract this article. BVK, MI, GM, MS did not respond to this retraction. Previous Previous post: A misconduct probe — which led to 20 retraction requests — took four years. Why? Next Next post: A journal decided to correct, rather than retract, a paper that contained “potentially contentious advice.” Do you agree with their call?